Not everyone can get to the stadium to watch the Springboks but Boktown is a place where the most passionate South African supporters congregate for a uniquely Springbok Supporters experience. It has often been said that rugby is a religion in South Africa, and Boktown is the church at which the wearers of Green and Gold go to worship their rugby heroes. You’ll find many of your Springbok and South African legends at Boktown, supporting the current generation of Springboks. You’ll get to chat to them and mingle, but mostly you’ll get to party, as only Springbok supporters know how. Boktown, brought to you by the official Springbok Supporters’ Club, creates a unique experience that goes beyond the 80 minutes of on-field action. This rugby place-of-worship gives South African rugby lovers the best alternative to being at the game. Fans watch the test live on the big screens but the entertainment starts long before the first whistle and continues long after the final whistle. It’s a Springbok rugby supporters’ dream experience that also speaks to the entire family. There’s interactive fun for the kids, cold drink specials, scrumptious food, bars, DJ’s, dancing, sponsor giveaways and great competitions. 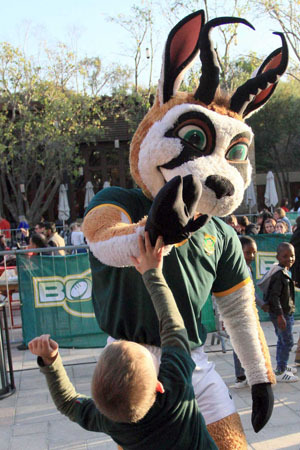 There is always a visit from Bokkie – the official Springbok mascot – and part of the experience is being able to formally engage with select South African Rugby Legends in a structured ‘Q&A’ session before and after the game. Springbok merchandise is always on sale, so you can even get yourself something once you get there. Boktown opens two hours before kick-off, so get there early to secure your seat and enjoy the gees and action with your friends, family and neighbours. Tickets are on sale from the venues and include a free local drink. *All kick-off times will be confirmed in due course. For more venue information or to join the official Springbok Supporters Club, visit www.springboksupporter.co.za, or follow us on Facebook, Twitter and Instagram. 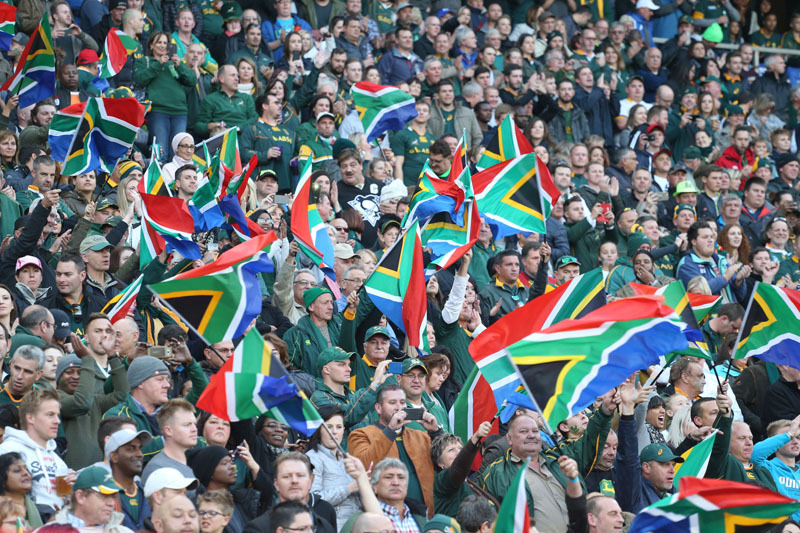 Share your photos and use the hashtag #LoveRugby and #Boktown to show your support!